We are deep in the fall season in the Chicago area which means that most deciduous trees have lost their leaves. This is why for this edition of our series on the native trees of the Chicago area, we have decided to focus on a type of evergreen tree that is found throughout the area, pine trees. Pine trees (Pinus sp.) are medium to tall coniferous trees that are found throughout the world in the northern hemisphere. 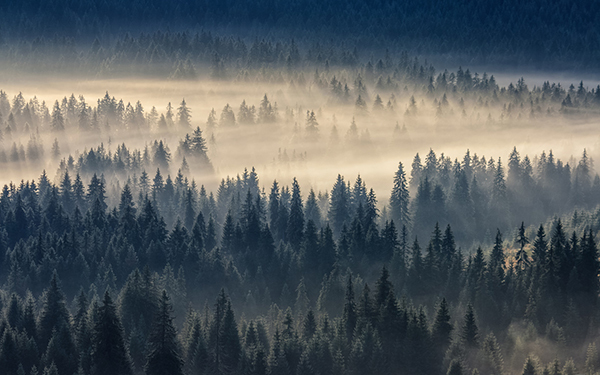 Depending on the species, pine trees can grow anywhere between 30 and over 200 feet in height and on rare occasions, they can appear as shrubs. Pine tree species are most easily identified by their needle like foliage that keeps its color year-round, and their large, brown pine cones. There are 126 known species of pine trees in the world with about 35 additional species that remain unresolved. Of these pine tree species, 36 are known to be native to the U.S. and are found throughout the eastern, western, and northern regions. Illinois is home to around 8-10 species of native and non-native pine trees. The various species of pine trees have very similar characteristics, but differ slightly in the appearance of their cones, foliage, bark, and canopies. In this guide, we will discuss the general characteristics of pine trees, describe the species of pine trees native to Illinois, identify their biggest threats, and cover effective pine tree care tips. 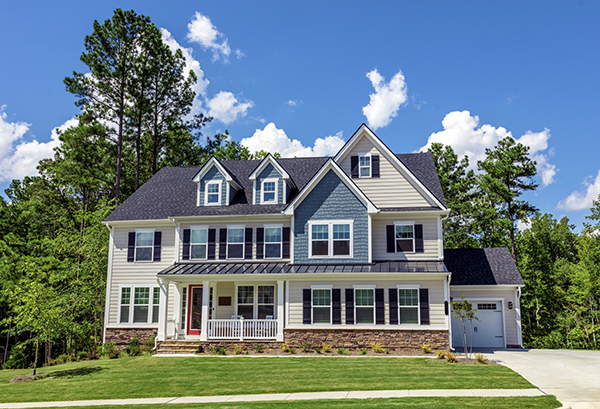 The pine trees on your Chicagoland property should stay green and healthy through the entire year, but they still need proper care to remain healthy and fight off insects and disease. Hendricksen Tree Care provides quality tree care services for residential and commercial customers to ensure that your trees remain strong and healthy. Our arborists are certified by the ISA and have the expertise to provide excellent care for all types of pine trees. Our tree services include general maintenance and fertilization, diagnosis and treatment of insects and disease, and tree pruning. Pine trees are fast growing, softwood coniferous trees that can grow in temperate and semi-tropical areas. Most species of pine trees are easily identified by their long, green pine needles and their pine cones which bear their seeds. The timber of pine trees is valued commercially around the world as its dense, soft wood is used to build things such as furniture, flooring and panels, and its resin is a source of turpentine. Pine trees have a very long life span of up to 1,000 years, and sometimes even longer, if left undisturbed. The oldest known pine tree was almost 5,000 years old at the time it was cut down. 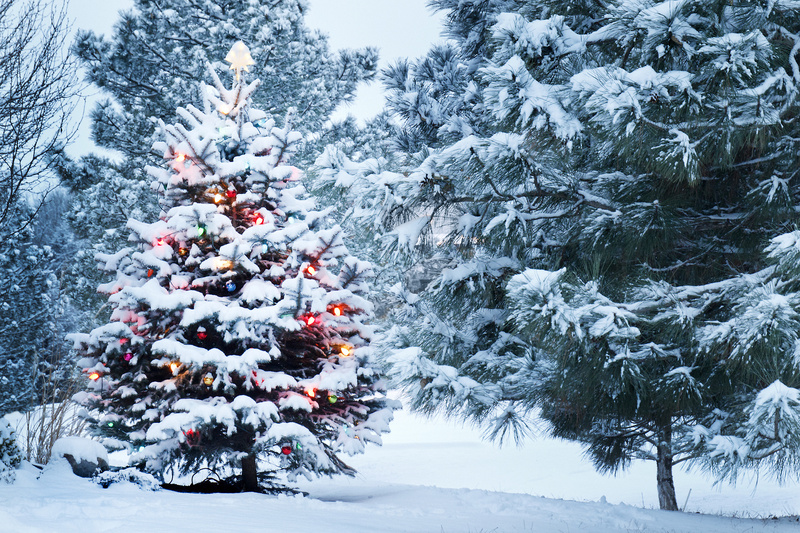 Height: Pine trees can range widely in height as they can be anywhere from 30 feet tall to over 260 feet. Most pine trees have a pyramidal canopy that can be 20 to 40 feet wide. Leaves: The leaves of a pine tree go through four stages of development. They start out as seed leaves on new trees and develop into juvenile leaves that are 2-6 cm long and spirally arranged. They then develop into scale leaves that are not photosynthetic and finally into pine needles that are photosynthetic. The adult needles grow in clusters out of dwarf shoots on the branch. These clusters, called fascicles, can contain anywhere from 1 to 7 needles. Cones: Pine cones are one of the defining characteristics of pine trees. Most pine trees are monoecious and will have both male and female cones. Male cones are small, yellowish pollen cones that grow in clusters. Female pine cones are large, brown pyramidal cones that contain seeds. When female pine cones mature, they open to release the small winged seeds. Bark: The appearance of the bark will differ between species, but it tends to be thick and scaly in most species of pine trees. There are some pine trees that have thin, flaky bark. For instance, the bark of an eastern white pine is grayish brown with thick ridges and furrows while the red pine has reddish-brown bark with flat plates. Timber: Pine trees are valued commercially for their timber and wood pulp. Their timber is a soft wood that is very dense and durable, making it ideal for furniture and indoor construction. Pine wood is light in color with a defined wood grain. It is not used for outdoor construction because it does not naturally resist insects or decay. Eastern White Pine: Eastern white pine trees (Pinus strobus) are found throughout the northeast U.S. into southeast Canada, as well as the Great Lakes region. These trees have a straight trunk and long, feathery needles that are bluish green in color. Their pine cones are slender compared to others and their tips are covered with white resin. 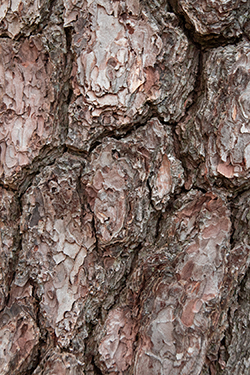 The bark of an eastern white pine is deeply furrowed and grayish-brown in color. These trees are known to live between 400 and 500 years. Red Pine: The red pine (Pinus resinosa) is a tall pine tree with a conical crown that is found in the northern U.S. from the Great Lakes region to the east coast. It is named for its orange-red flaky bark that forms in the upper crown of the tree. The bark on the lower part of the trunk is grayish-brown in color. Red pines tend to grow beyond 100 feet tall and their pine cones are oval shaped and look almost purple or blue in color. Shortleaf Pine: The shortleaf pine (Pinus echinata) is found in the southeast U.S. and appears as far north as southern Illinois and Missouri. These pine trees generally grow between 60 and 100 feet tall and they may have crooked trunks and branches. The needles of a shortleaf pine grow in bundles of 2 or 3 and are yellowish green in color. Virginia Pine: The Virginia pine (Pinus virginiana) is a medium sized pine tree found mostly in Appalachian regions. These trees tend to grow in poor soil conditions and because of this, they rarely reach beyond 60 feet in height and do not normally live beyond 100 years. Their most distinctive characteristic is their short needles that grow in pairs. Virginia pines are the most common pine trees sold on Christmas tree farms. Loblolly Pine: The loblolly pine (Pinus taeda) is among the tallest of the southern pine trees. These trees are found mostly in the southeast U.S. and do appear in areas of southern Illinois. Loblolly pines can reach over 100 feet in height and they produce conical shaped pine cones that can be green when mature. This tree is an important commercial tree in the southern U.S. as it is valued for its yellowish wood. Pitch Pine: The pitch pine (Pinus rigida) is one of the smaller pine trees, generally growing between 20 and 100 feet tall. 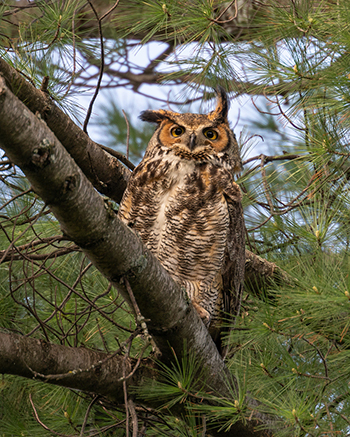 They are mostly found throughout the northeastern U.S. and they also appear in Illinois. These trees typically have curved trunks and twisted branches that give them an irregular shape. Their pine cones are covered in prickles when matured. Table Mountain Pine: The Table Mountain pine (Pinus pungens) is a pine tree found mostly in the Appalachian Mountains. These trees are relatively small compared to other pines and grow at elevations between 300 and 1700 meters above sea level. The branches of a Table Mountain pine appear scaly on their surface and the cones are oval shaped and grayish green in color with sharp spines on every scale. Brown Spot Needle Blight: This disease is caused by a fungus that causes browning of the needles in the late summer. The needles affected also develop dark colored fruiting bodies that appear as spots on the needle, giving this disease its name. It is possible to control brown needle spot blight with fungicidal sprays. Dothistroma Needle Blight: This disease is a much more serious fungal disease that can lead to the death of the tree. The fungus attacks needles at the bottom of the tree and kills them off as it works its way up the tree. The affected needles will have tan spots at first that spread to cover the ends of the needles, turning them reddish brown in color while the base of the needles remains green. This disease causes trees to shed their needles and if the disease is not addressed, the tree can die from the damage. Pruning affected branches can help stop the spread of this disease. Pine Wilt: Pine wilt is an extremely harmful disease caused by pinewood nematodes. Pine sawyer beetles are responsible for carrying nematodes onto pine trees and they enter the feeding wounds created by these beetles. Once inside the tree, the nematodes reproduce and disrupt the flow of water within the tree, causing it to quickly die off. The needles will become discolored first, turning a shade of gray and then reddish brown. The entire tree can be affected in less than a few months from the lack of water. Lophodermium Needlecast: This fungal disease typically infects pine trees in the late summer and fall and the symptoms are not apparent until the following spring. The first signs of this disease are brown spots with yellow outlines that appear in the needles from the previous year. These spots expand and kill the affected needles by the middle of the summer. Black fruiting bodies the shape of a football appear on the dead needles by the late summer. While this disease kills growth from previous seasons, it will not affect the new growth of the current season. Fungicide applications can help control this disease. Bark Beetles: There are many species of bark beetles that are known to attack pine trees; engraver beetles, red turpentine beetles, and western pine beetles are among the most common. All of these types of beetles work their way under the bark of pine trees and carve out tunnels in the wood underneath. You can tell if your pine trees are affected by bark beetles by peeling off the outer layer of bark and looking for tunnels in the wood. Bark beetles of all types can cause serious enough damage to kill a pine tree. Scale Insects: Scale insects do not cause direct damage to pine trees themselves, but they do secrete honeydew on the pine needles which can lead to mold growth. Mold spores stick to the needles covered in honeydew and can cause the needles to become discolored and fall off. Scale insects are difficult to spot because they are so tiny, but you can spot the sticky honeydew secretions they leave on the needles. Pesticides can control scale insects and help prevent serious damage to the tree. European Pine Sawfly: This invasive species can cause serious damage to pine trees by feeding on the needles. The adults, which look like orangish brown flies, lay their eggs on the needles and the larvae, which look like grayish brown caterpillars, immediately start feeding on the needles. They strip the needles of their nutrients and move on to the next branch, leaving the affected needles brown and wilted. If the sawfly larvae are not controlled, they can heavily defoliate the tree. It is possible to treat these infestations with insecticide applications. White Pine Weevil: The white pine weevil can cause very serious damage to many types of pine trees, especially the eastern white pine. The adults, which look like typical rust colored weevils, lay eggs on terminal buds in the spring. The eggs hatch within a week and the larvae begin feeding on the branches, working their way to the inner bark. They pupate in the affected ranches in the middle of the summer and emerge as adults after 10-15 days. Only the larvae cause harm to the tree by feeding under the bark and they typically only attack the current year’s growth. It is rare for white pine weevils to kill the tree. 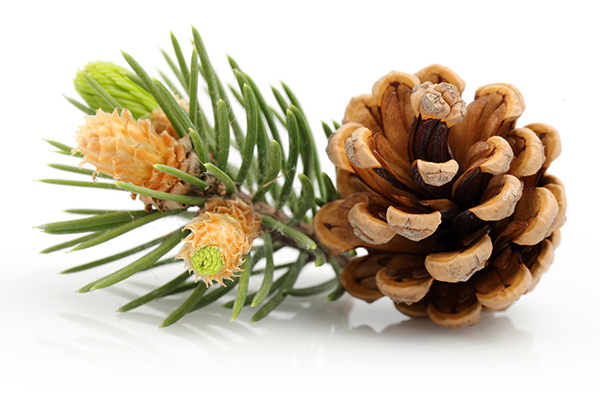 Planting: Most pine trees prefer acidic, well-drained soil. It is best to give a new pine tree plenty of space so the root system can fully develop and the tree can reach its full height. You should also ensure that the spot you choose gets plenty of sunlight. Watering: Pine trees have a high tolerance for drought like conditions so they do not need to be watered often. 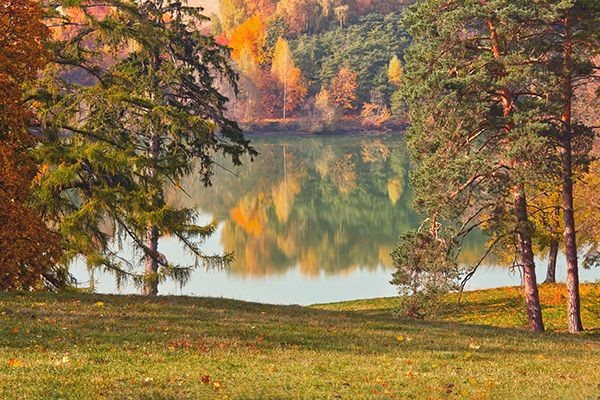 You should consider watering your pine trees once a month during very dry winter seasons. Mulching: It is a good idea to lay down a layer of mulch to help retain moisture for the root system. Make sure the mulch spreads out far enough to cover the root system. Fertilization: Young pine trees can benefit from fertilizer applications, but don’t apply fertilizer until their second year of growth. Apply 2-4 pounds of balanced, slow release fertilizer per 100 square foot of bedding to pine trees in their second year. For mature pine trees, measure the diameter of the tree and apply two pounds for every inch. Pruning: Pine trees do not need to be pruned as often as other trees. In fact, pruning should only be done to control the shape of the canopy and remove limbs affected by insects or disease. Any pruning of your pine trees should be done during dry weather. It is typically better to let a professional handle the tree pruning for your pine trees. Pine Trees are one of Earth’s most successful and adaptable trees. Consider adding one to your Chicagoland, Illinois home or business for year-round beauty! Pine trees, for the most part, are very resilient trees and need very little care throughout the year. These tall trees provide shade, a break in the wind, and natural beauty year-round. However, you still need to provide some care for your pine trees and watch for signs of insects and diseases that can cause serious damage. 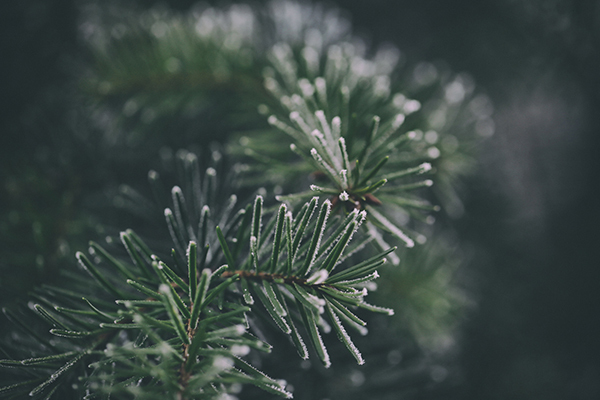 If you want to ensure that your pine trees get the care and fertilization they need, you can enlist the help of our arborists at Hendricksen Tree Care. Hendricksen Tree Care provides complete tree care and maintenance services including fertilization, tree pruning, and treatments for insect infestations and diseases. Our arborists are highly trained and certified to assess the condition of your pine trees and provide treatments that will keep them healthy and help them better resist insects and disease. We can monitor the condition of your trees year-round and ensure their health and well-being. Hendricksen Tree Care proudly serves the north and northwest Chicago suburbs including Winnetka, Lake Zurich, Arlington Heights, Northbrook, Palatine, Mount Prospect, and surrounding areas. Keep an eye out for the next installment of our series about the native trees of the Chicago area.